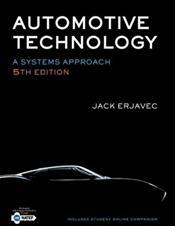 This book remains the leading authority on automotive theory, service and repair procedures. The new edition has been updated to include coverage of hybrid vehicles throughout the text, new content on electronic automatic transmissions, preventive maintenance, and many other topics that reflect the most recent changes in the industry. Chapters cover the theory, diagnosis and service of all system areas for automobiles and light trucks, and the content closely adheres to the 2008 NATEF Automobile Program Standards.